Firstly, in the morning we will come and meet you up at the port (Chan May or Tien Sa sea port). And after that, we take you directly to My Son Holy land. We then pass by Da Nang city – the best city to live in Vietnam. Thus, Da Nang is a hub of economy, education, science, medicines of Central Vietnam. Then we continue our trip to My Son Holy land. 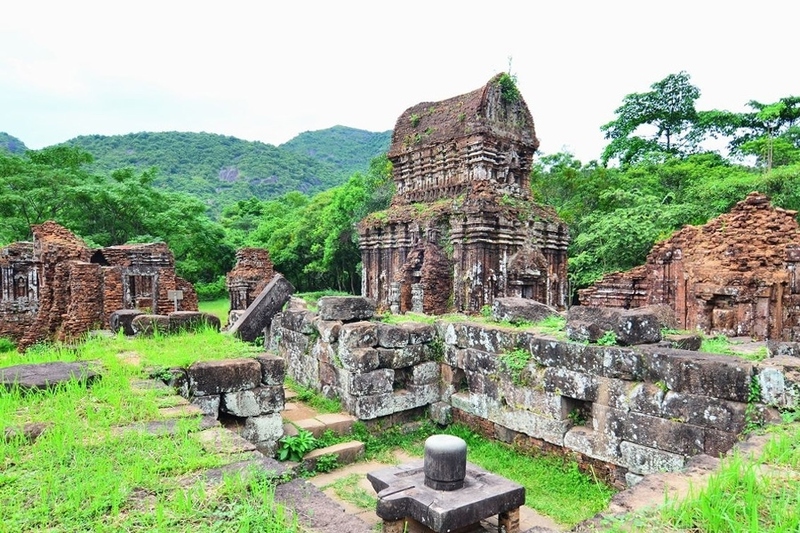 This site is located in Duy Phu commune, Duy Xuyen district, 69 km south of Da Nang, lies in a valley 2km in diameter. And in the past, My Son was the ceremonial offering site for Cham people and their royal family. My Son is known as a principal Hindu religious center in Southeast Asia and its first of this kind in Vietnam. My Son is an example civilisation of Asia that disappeared. According to statistics, the Cham built My Son in the 4th century. 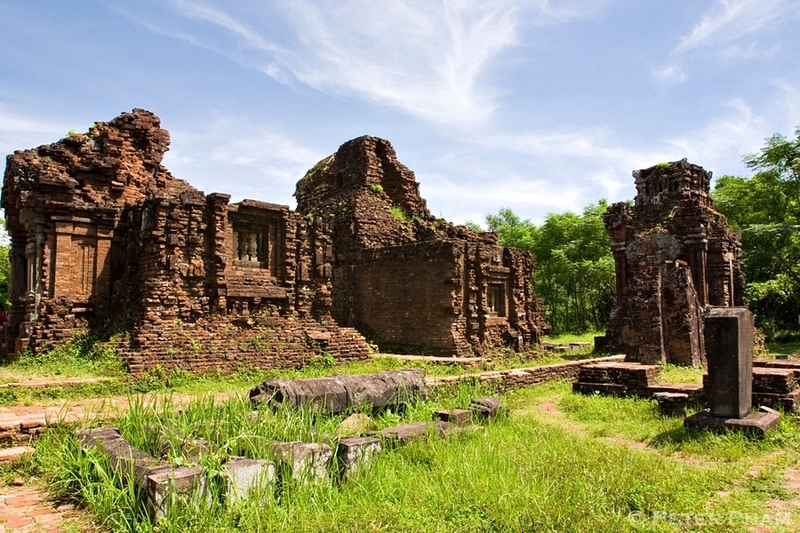 In many centuries, My Son had been added a lot more Hindu temples and became a main relic site of Cham culture in Vietnam. In addition to function of ceremonial offering site, My Son also became a cultural and religous center for many Cham dynaties and burial place for Cham kings and priests. My Son had both Indian architectural and cultural influences. Depending on ancient texts described on stele, people said My Son ever had a wooden temple in the 4th century. The technique of building temples in My Son has been mysterious for many years and centuries. So far, people have not known the exact material to glue bricks and method to bake bricks of the Cham people. Today, My Son has a total of 70 temples and had been built from 7th to 13th century. The main temples in My Son were used to worship a set of linga or statue of Shiva, God of protector for the Cham people. The god is worshipped in My Son is Bhadresvara, the founder of Amaravati in late 4th century combined with Shiva god becoming a main belief of the people. By material of sandstones and baked bricks, the Cham, in many centuries, have built up an unique complex of temples and towers. The main temple is used to worship Linga-Yoni, a symbol of creation and fertility. Next to it are the other ones to worship the other gods or died Kings. Though the war damaged a lot of temples but My Son today is still a masterpiece marking former glorious time of Cham architecture and of Southeast Asia. On arrival in My Son, we get transfer by golf cart then spend around 45 mins to visit many groups of Hindu temples in My Son such as B, C, D, G. When we finish, we go out and then we take you back to the port. On the way back, we might stop at My Khe Beach for you to take some photograph. Then the tour My Son Shore Excursion will finish here. How interesting My Son Sanctuary Shore Excursion is? When you book this tour, you can have a deep concern and understanding about Cham culture. 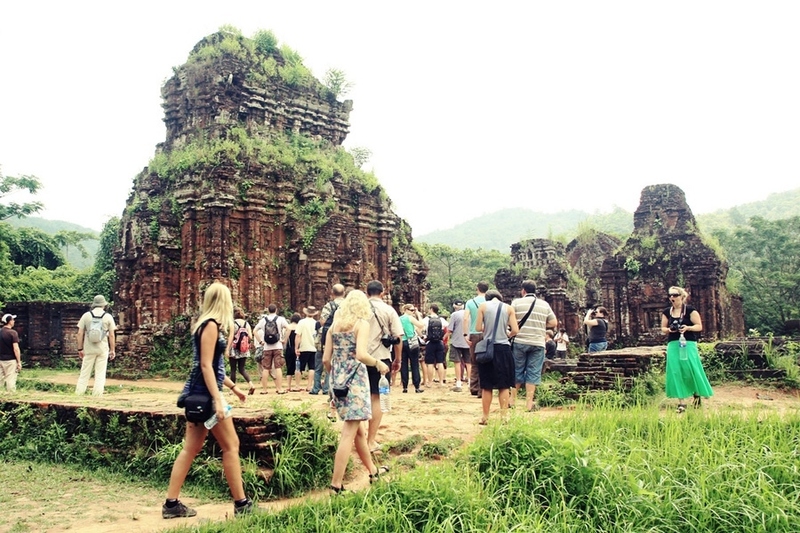 It was a glorious civilization ever existed in central Vietnam. It is enjoyable tour for you to admire the beauty of forest in My Son with beautiful view. Besides, we together discover antiquity of Cham Hindu temples and try to figure out how they built such an amazing complex that still standing strong today. On the way home, we stop at one of the most beautiful beaches in the world in Da Nang – My Khe beach. From here, visitors can have a whole view of highest Lady Buddha Statue (Goddess of Mercy) in Vietnam. Kindly contact us at premiumvietnamtravel@gmail.com or call/text us through Whatsapp/Viber at 0084 979613777 for more details. How do you book My Son Sanctuary Shore Excursion?